The Fluke 190-504 fills the needs of professional electronic troubleshooters working on medical, communications, navigation, and military devices who need the fast 5 GS/s — or 200 pico seconds — sample rate and 4-channels for greater accuracy and clarity of shape and amplitude of unknown waveform phenomena like transients, induced noise and ringing or reflections. Fluke Corp. introduces the Fluke® 190-504 Series II 500 MHz ScopeMeter® Portable Oscilloscope, the first to achieve a 500 MHz at 5 GS/s real time sample rate in a 4-channel handheld, sealed, and rugged oscilloscope without compromising on safety rating, ruggedness, or battery operating time. The 504 rounds out the line of rugged ScopeMeter® 190 Series II that feature 2 or 4 independently insulated input channels and an IP51 dust and dripwater proof rating with models available in 500 MHz, 200 MHz, 100 MHz or 60 MHz bandwidths. The series features deep memory up to 10,000 samples-per-channel so technicians can examine very small parts of the waveform in detail. 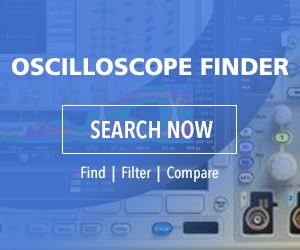 The ScopeMeter® 190 Series II include innovative functions like Connect-and-View™ triggering for intelligent, automatic triggering on fast, slow or even complex signals, ScopeRecord™ mode, TrendPlot™ feature, and automatic measurements functions you would expect to find in high performance benchtop scopes. The 190 Series II safety rating, according to IEC 61010 standard, is 1000 V CAT III/ 600 V CAT IV making it possible to safely measure from mV to 1000 V.
The Fluke 190-504 ScopeMeter® Test Tool is available now at U.S. list price of $4,990.